A roller coaster at Cedar Point isn’t even as exasperating as Evergreen’s up and down, then back up ride Thursday at Delta in baseball action. After taking a 5-0 lead, the Vikes almost gift-wrapped the Panthers’ third inning game-tying rally. 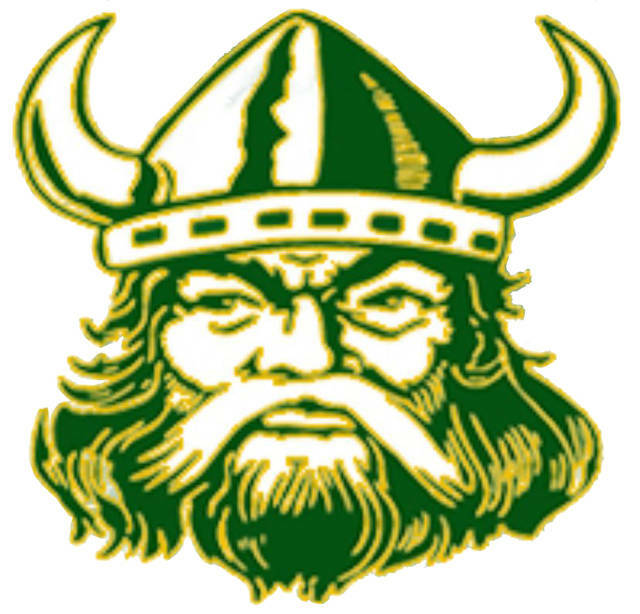 Then after falling behind 8-5, the Vikings scored six runs in the final two innings, with Collin Loeffler being the stopper on the mound to take an 11-8 Northwest Ohio Athletic League win over the Panthers. Evergreen got on top right away in the first but probably should’ve had more. Mason Henricks’ pop fly fell into short right field in the gale-force winds for a double, then a walk and hit batter loaded the sacks with no outs. Chase Cooper struck out the next two hitters but uncorked a wild pitch to give Evergreen a 1-0 lead. The Vikings tacked on four more two innings later on Bryce Hudik’s run-scoring line drive single to left-center, Landon Vance’s bad-hop RBI hit, a throwing error on Cooper on a pickoff attempt, and Adam Baumgartner’s sacrifice fly to take a 5-0 lead. However, this is where the wild ride bottomed out for the Vikings and went on a steep uphill climb for the Panthers. Viking starter Tom Pollard, who cruised through the first two innings, walked two and hit another batter to load the bases with one out in the bottom of the third. Pollard almost escaped when he got Cooper on strikes and induced Tristen Saeger to pop up. Again the wind came into play and when two Vikings collided and the ensuing throw got away, Delta had two runs. Austin Michael got the Panthers’ first hit of the day, a two-run double down the left field line to slice the lead to 5-4, then Henricks’ throwing error on Chase Stickley’s bouncer knotted the game. The Panthers upswing continued the next inning, as they got two more when Hunter Hamilton ripped the go-ahead hit that gave Delta a 6-5 lead and spelled the end of the day for Pollard. Loeffler gave up an RBI single to Michael before getting out of the inning that gave Delta a 7-5 advantage. Trevor Wittes’ rocketing double to center and Hamilton’s base hit marked another Panther run in the fifth but just as quickly as the Panthers had reached the top of the ride, the downslope came. A walk, Saeger’s throwing error, a ground out and Bryce Hudik’s second sharp single to left off Hamilton, got the Vikings within 8-7 after the top of the sixth. The seventh would be Evergreen’s turn for a ride to the top for the finish. David Carroll started the game-winning rally with a base hit up the middle. Stickley then muffed Baumgartner’s ground ball to put runners at first and third with no outs. It was then that Henricks made amends when he rifled the first pitch into right for a game-tying single. Again the wind came into play when Brock Hudik’s pop fly into short right fell for a hit to load the bases. Jack Krispin’s sacrifice fly to left brought home the go-ahead run, then with two down, RJ Shunck ripped a base hit to left to score another run and Bryce Hudik’s third hit of the game produced the fourth of the inning for an 11-8 lead. Meanwhile, Loeffler was dominating the last two innings, striking out five Panthers to garner the victory. “Collin did a great job stemming their momentum and giving us a chance to get back in the game,” Nagy added. In all the Viking right-hander went the last 3 2/3 innings, gave up five hits and struck out nine. Hamilton took the loss giving up six runs, only two of which were earned. Evergreen defeated Hilltop 17-13 on Friday, then split a doubleheader with Edgerton Saturday. Delta fell 8-1 and 13-4 at Hicksville in a doubleheader Saturday.